Sen. Cory Booker (D-N.J.) sat down for a CNN town hall with Don Lemon last night where he opened up about meeting his girlfriend, actress Rosario Dawson. The 2020 presidential candidate said he first met the "Jane The Virgin" actress at a fundraiser for Ben Jealous’ Maryland gubernatorial campaign last year. “She didn’t give me the time of day,” he shared. 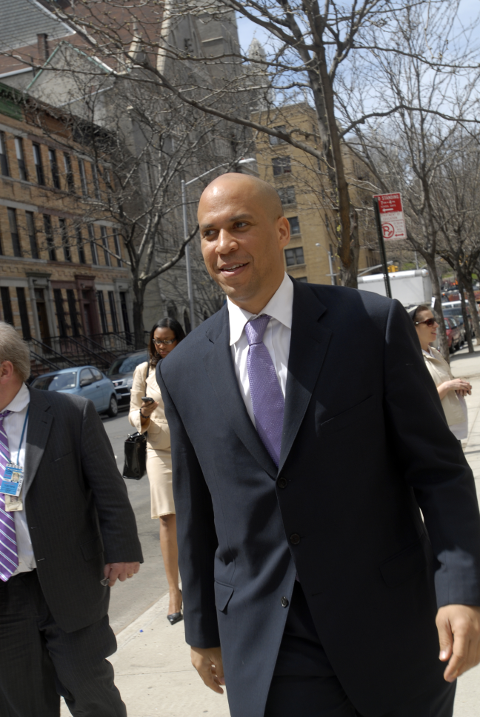 By the next time they ran into each other, Sen. Booker said he mustered up the courage to get her digits. "And?" CNN's Don Lemon asked. “She gave me the phone number,” he said. Nice! Moderator Don Lemon brought up the fact that if Booker was to win the presidential election, he would be the first unmarried president to enter the White House in over 130 years. And then asked him the odds of a White House wedding. Cory laughed it off, comparing CNN to a gossip website. Then, he gushed over his boo. "I have an incredible girlfriend and she is just simply amazing. I'm very lucky to be in a relationship with someone who is just so incredibly special, but more importantly who has taught me so much in such a short period of time."